When the internet on the Samsung phone gets to its knees or gets very slow, you can change that pretty fast! There are not only solutions for the iPhone how to influence the Internet speed! With this example, it is also quite easy for Samsung mobile phone owners to adapt the Internet speed to all new Android phones. Data can be changed from very fast to very slow, which can be used partly as a preventive measure for fast data limit overruns, here explained step by step! 1.) ... Internet speed on Samsung Galaxy Android customize! 2.) ... What should I keep in mind at the internet speed! 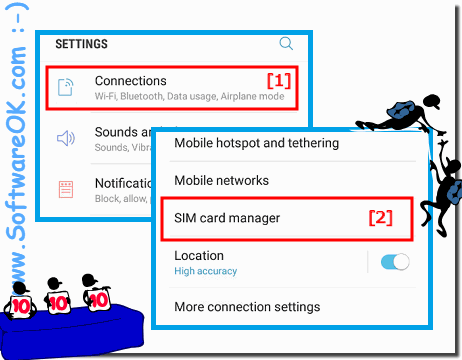 See also: ► Select Sim Card on Pone for the Mobile Internet! 1.) Internet speed on Samsung Galaxy Android customize! 2.) What should I keep in mind at the internet speed! Samsung-Galaxy - FAQ-16: The Internet on the Samsung Galaxy is too slow, what to do?